There is rumour that Michael is a changeling, a ‘fairy stock’, and the cause of the ill luck that swarms the valley. Down by the river, an old woman known as Nance Roche lives alone, acting as a ‘doctress’ to the community, a person said to possess knowledge from the Good People that enables her to cure inexplicable ills. With the arrival of a new priest and his determination to cleanse the valley of superstitious practices, the purity of Nance’s actions is called into question. 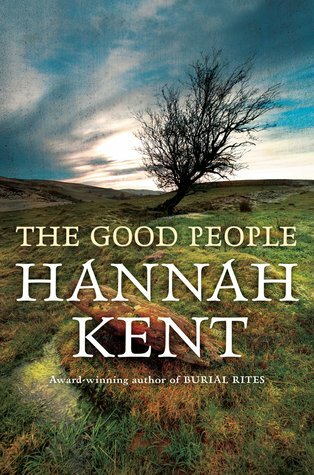 Having loved Burial Rites, I was excited to read The Good People, and I wasn't disappointed. The pacing in this book is slower than Kent's first release, but that's a minor matter, and the story held my interest enough that it wasn't a problem. The prose is a delight to read and the characters are well-crafted individuals. I enjoyed the narrative trio of the three women at the centre of the story as you really get a feel for each of them. The discussion of folklore and herbal remedy showed diligent research on Kent's part, and this book should therefore appeal not only to historical fiction readers but also to those interested in Irish folklore belief and the role it played in everyday life in the nineteenth century. This is one of those books that, as a writer, I wish I'd written myself. I very much look forward to seeing what Kent will come up with next.